The fully trained engineers at Mike Knight Tyres Ltd have a wealth of experience fitting and servicing all types of tyres. We also offer free safety checks and a full wheel balancing and wheel alignment service. We always take an honest, reliable and friendly approach to all of our tyre maintenance and vehicle servicing work. lf the front or rear wheels are are incorrectly balanced, vibrations in the steering wheel, the floor, the dashboard or the seats may result, depending on the speed range. An essential part of tyre maintenance involces balancing all four wheels for a comfortable drive and sustained tyre performance. Our balancing machines are calibrated. 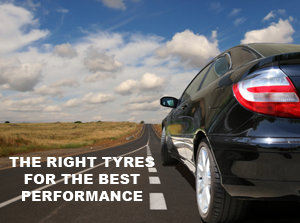 Poorly aligned wheels can cause undue pressure on your tyres, leaving you facing costly bills for replacement tyres. 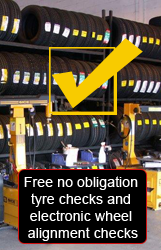 Act now and book a free tyre safety check and wheel alignment with Mike Knight Tyres of Avonmouth to prevent your wheels causing you unwanted expense. You experience handling problems, such as pulling to one side. A detailed inspection is necessary to assess whether the tyre is suitable for repair and further use. For example, irreparable damage may have been caused by running the tyre in an under-inflated condition and this must be assessed before proceeding with a repair. All batteries supplied by us are guaranteed for a minimum of 3 years. We also offer a range of heavy duty, high performance batteries with a four-year warranty. We are an independent Limited Company based in Avonmouth and have been trading since 1970.